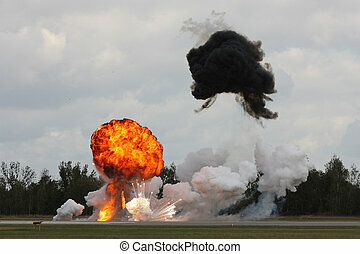 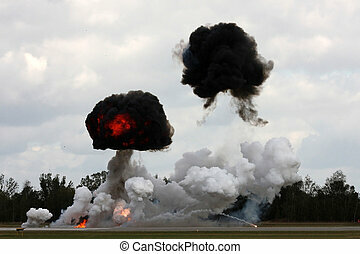 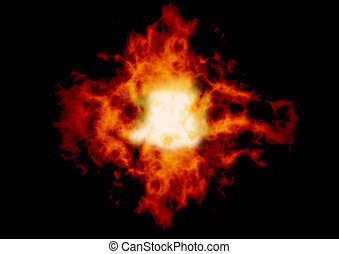 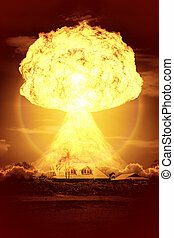 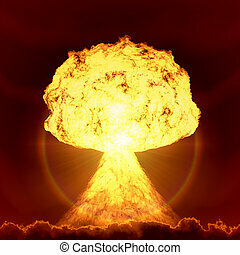 Atom bomb explosion. 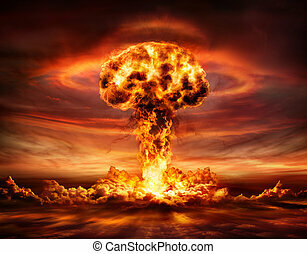 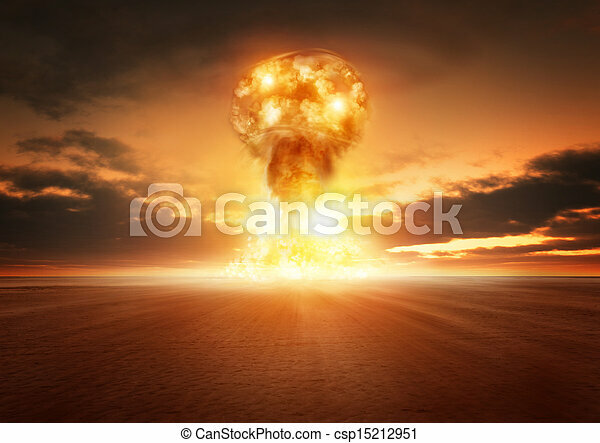 A modern nuclear bomb explosion in the desert. 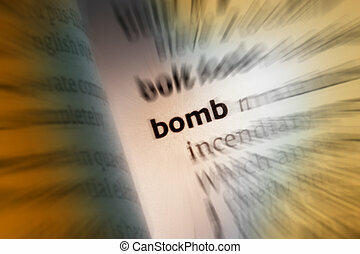 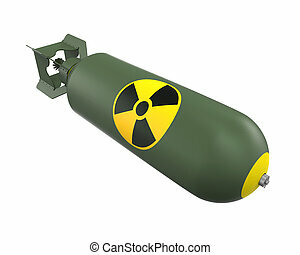 Bomb - a container filled with explosive, incendiary material, smoke, gas, or other destructive substance, designed to explode on impact or when detonated by a time mechanism, remote-control device, or lit fuse. 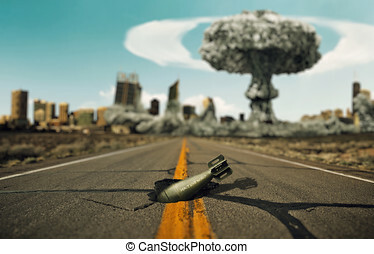 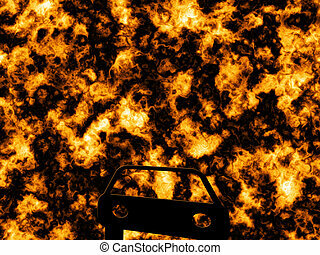 Bomb on the road. 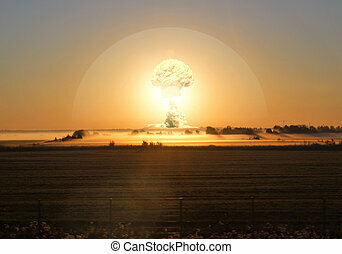 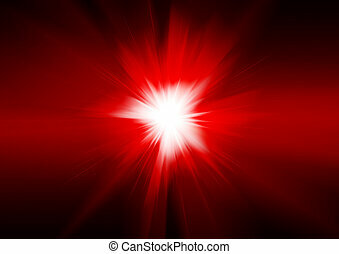 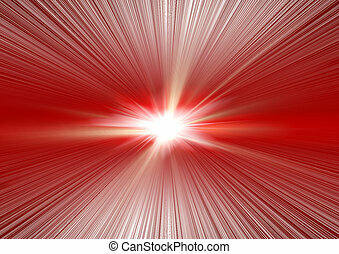 Background a nuclear explosion.